I remember when my cousin had a dengue. He was rushed to the hospital because of high fever. That was very scary. Glad to know the little one is fine now. Great to know that your nephew is safe from harm now. I hope your nephew is now quite well. aaawwww poor little man :( it breaks my heart to see kids sick. Glad that he is out in the hospital now which means he is getting better. It is good to know he is out from that kind of danger. What a nice boyfriend you have sis. Hirap talaga kapag bata ang may sakit. Katakot pa ang dengue! Glad that he's okay now. Dengue can be deadly and glad to know you nephew is free of it already. 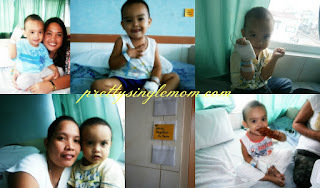 Glad to know your nephew is ok, dengue is really scary. It's good to know that your nephew is in good condition now. You're very lucky for having a loving and kind boyfriend.